Jeff Reifman is a writer and technology consultant with a wide variety of nonprofit and corporate leadership experience. He’s currently running the simplified meeting scheduler, MeetingPlanner. He also publishes Politics of Possibility, which focuses on effective activism for an inspired future; you can watch interviews with Reifman here. His essay about dating and cutoff inspired a lot of controversy and regard which you can read about on Medium: Shining Light on Internet Rage and On Opening Up Your Ribcage for Public Criticism (50 First Dates). Previously, Jeff helped lead the launch of MSN News and then later MSNBC.com during his career at Microsoft. He’s a three time grant recipient of the John S. and James L. Knight Foundation. 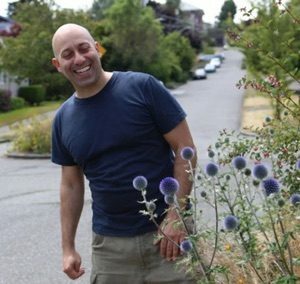 He’s known in Seattle for his earlier not for profit coffeehouses, coverage of Microsoft’s tax dodging and the overwhelming impact of Amazon’s growth. He is an avid snowboarder, photographer and traveler. He has more than 600 hours of yoga teacher training and previously volunteered teaching teens in substance recovery with Street Yoga. He resides in the Pacific Northwest.